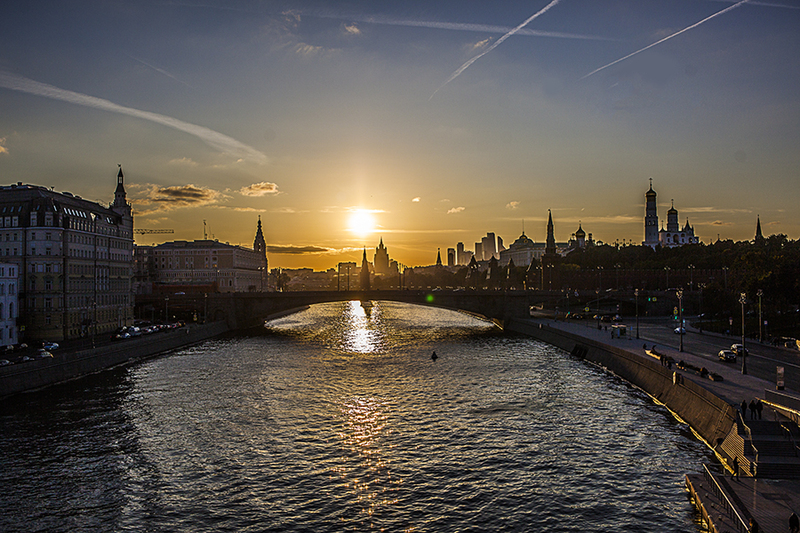 Moscow began its history as a fortress on a hill that overlooked the Moscow River. Today, it is one of the biggest and most densely populated cities in the world. It is a city steeped in history and beauty. Our city tour combines the old with the new. 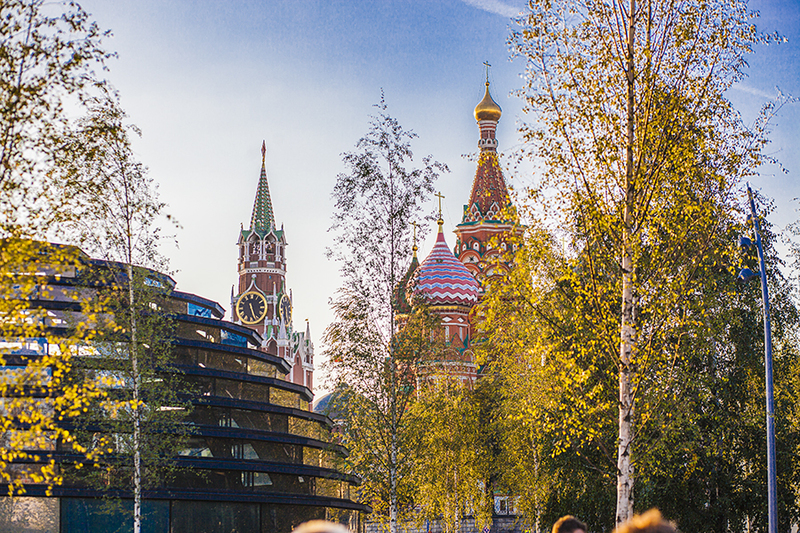 We offer you insight into the rich history of Moscow and show you fun opportunities to explore and enjoy life in today’s Russia. 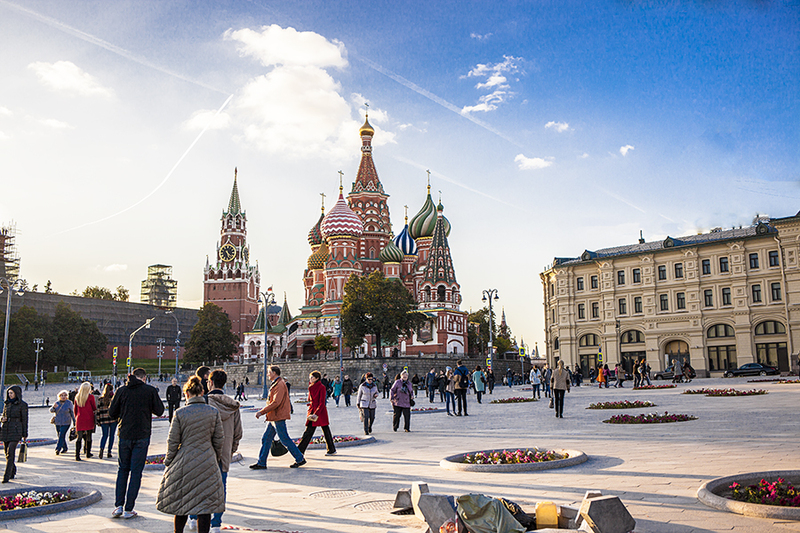 The heart of Moscow is the Kremlin and Red Square. Red Square used to be a lively marketplace. Krasnaya (Red) is the Old Russian word for beautiful. We will pause in Red Square to review its dark and glorious moments in Russian history. 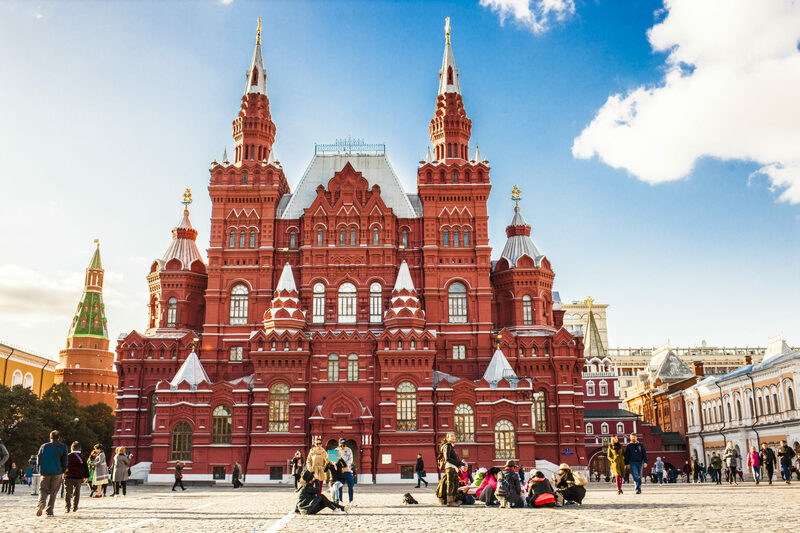 We will view famous landmarks including the Savior Tower, the Kremlin walls, GUM department store, the State Historical museum, Lenin’s mausoleum, and we will walk through the famous St. Basil’s Cathedral. Ivan the Terrible ordered the construction of St. Basil’s Cathedral on Red Square. 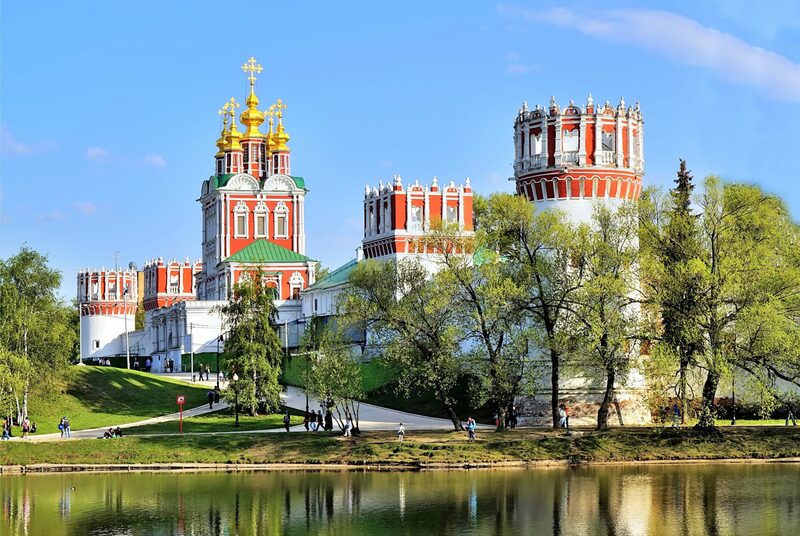 He chose two architects, Barma and Postnik, to create this now famous Russian Orthodox church. 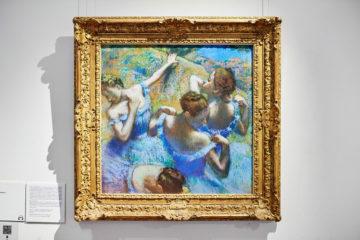 According to legend, Ivan blinded both of them so they couldn’t create a similar masterpiece anywhere else. During Joseph Stalin’s rule, Saint Basil’s was in danger of being destroyed to make room for larger demonstrations and marches on Red Square. 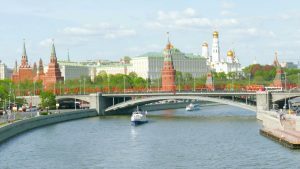 Our next venture will be to drive around the Kremlin and view the Christ the Savior cathedral, a church with a controversial history. 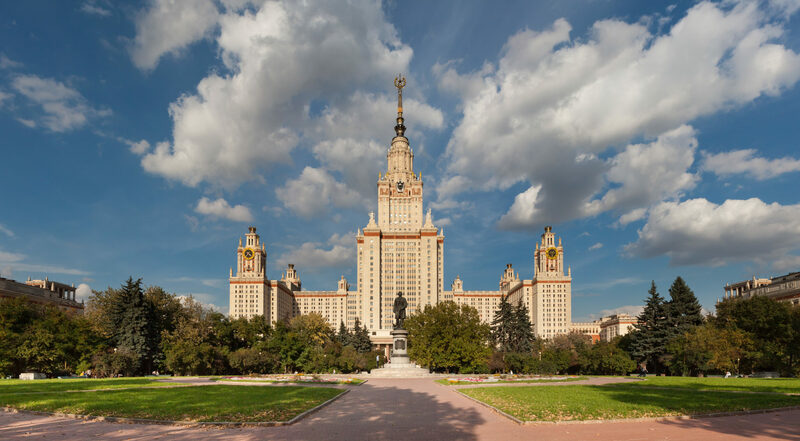 It was torn down by the Bolsheviks in favor of a massive monument to socialism known as the Palace of the Soviets. A giant statue of Lenin was slated to be mounted on the roof. 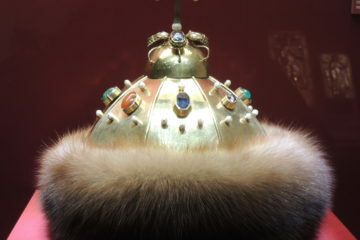 In a twist of fate, the construction of the Palace was halted due to the lack of funds. Later, it was transformed into the world’s largest open-air swimming pool. 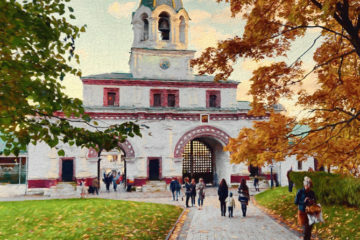 After you learn about the history of the rebuilt Christ the Savior cathedral, you’ll reach the Novodevichy (New Maiden) Convent. 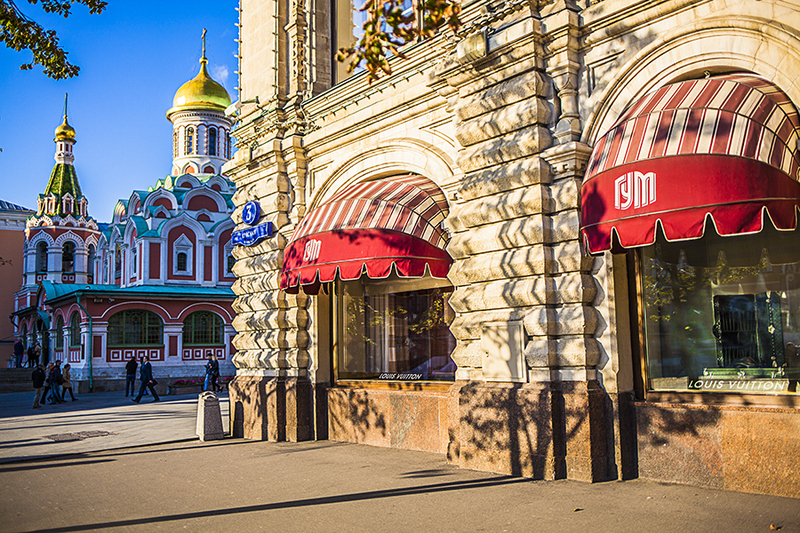 The convent, founded in 1524, is one of Moscow’s most beautiful monasteries. It’s also known as the “Convent of the Broken Hearts.” It was the residence that out-of-favor wives of aristocrats were banished to when their spouse decided to marry another woman. Next on your tour, you’ll visit Poklonnaya Hill (Bow Hill). 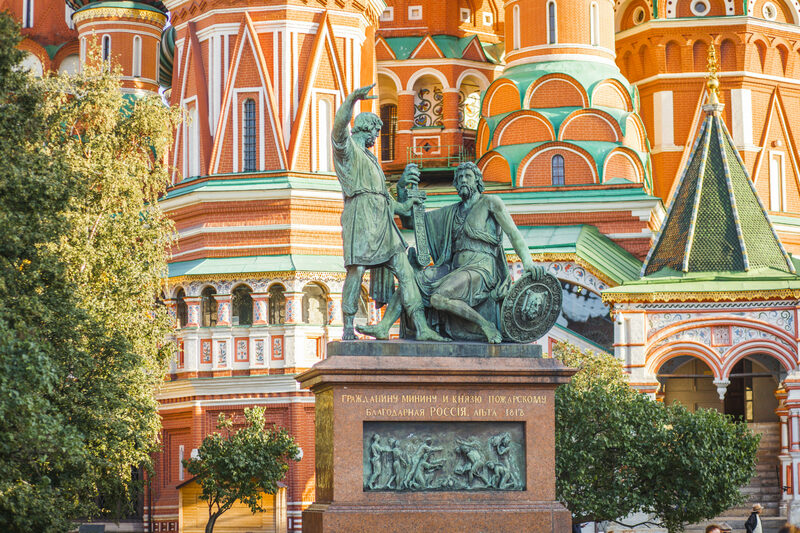 Your introduction to Russian History will be expanded here where you will learn about the events of World War II from a Russian perspective. 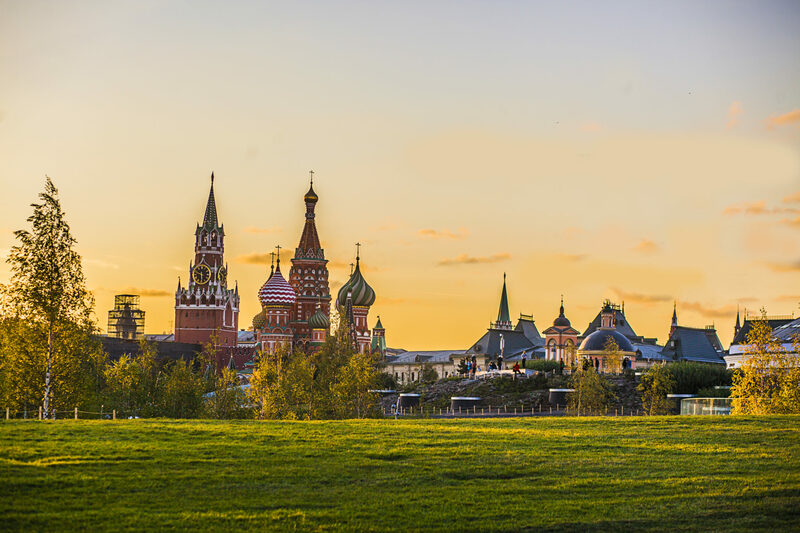 Then you will take a short drive to visit Vorobyovy Gory (Sparrow Hills) where a breathtaking panoramic view of the city and Moscow University awaits you.